Please complete the following fields. If you are registering more than once teacher at your school, this form only needs to be completed once. Please limit yourself to using only basic characters (letters, numbers, and punctuation) while completing this form. Your username cannot include a space or special characters. If you submit this form and get a "Forbidden" error message, this is likely the problem. If you need help, please contact the CCTCA Executive Assistant at cctcaexec@gmail.com. Only the individual entered here will be contacted about this registration. If you are registering for multiple teachers, you will be responsible for forwarding all correspondence between the convention association and the out-of-district/guest delegates. If you are registering multiple teachers, please list their names here. All individuals listed below must meet the minimum membership requirements listed above. Please upload proof of your membership in the ATA or your provincial/territorial teachers' federation. Alternatively, this information can be emailed to cctcapresident@gmail.com at a later date. 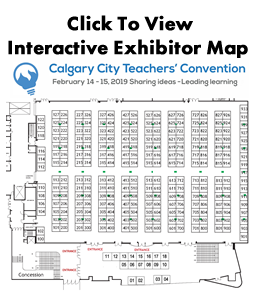 Participation in this event requires that all delegates possess active, associate, or student membership in the Alberta Teachers' Association (or similar membership in a fraternal teachers' federation). Proof of membership will be required prior to the delivery of convention identification. Delegates who register but do not provide proof of membership by February 1, will have their registrations cancelled. For information and to register as associate members, please proceed to the ATA website or call 1-800-232-7208. Registration fees will be returned for all cancellations made before January 31st, (less a 5% processing fee which covers event software and credit card processing fees incurred by the CCTCA). Cancellations after January 31st will not be refunded.